In stock, the CAM SPORT PIN Stripe kit for the 2016 2017 2018 Chevrolet Camaro. 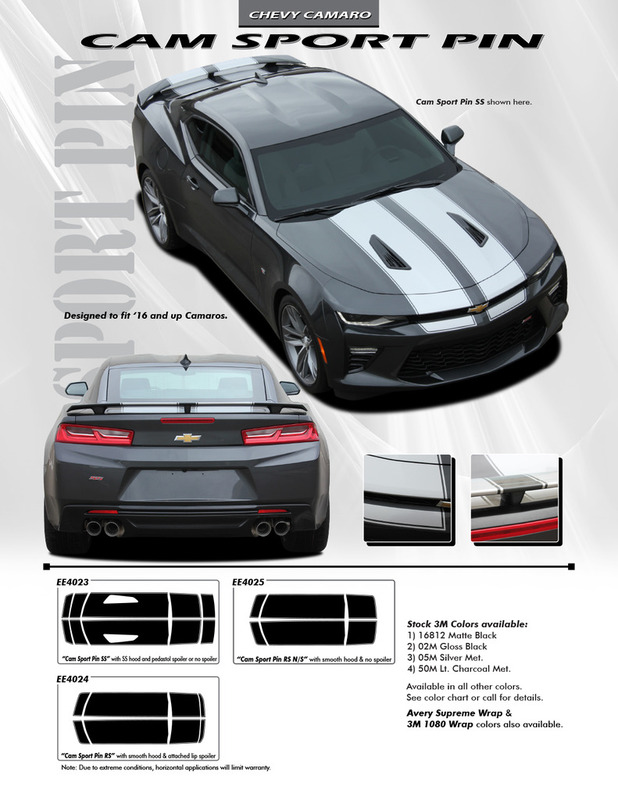 These Chevy Camaro Stripes and Chevy Camaro Vinyl Graphics are awesome and in stock! We have been making awesome decal kits for Chevy Camaros and other makes and models of cars since 1988 and, in that time, we have gained a reputation for producing the highest quality, coolest looking Camaro Racing Stripes that money can buy.